Exuding positivity and remaining composed working under widely varying circumstances: while potentially empathizing with a teenager in crisis. 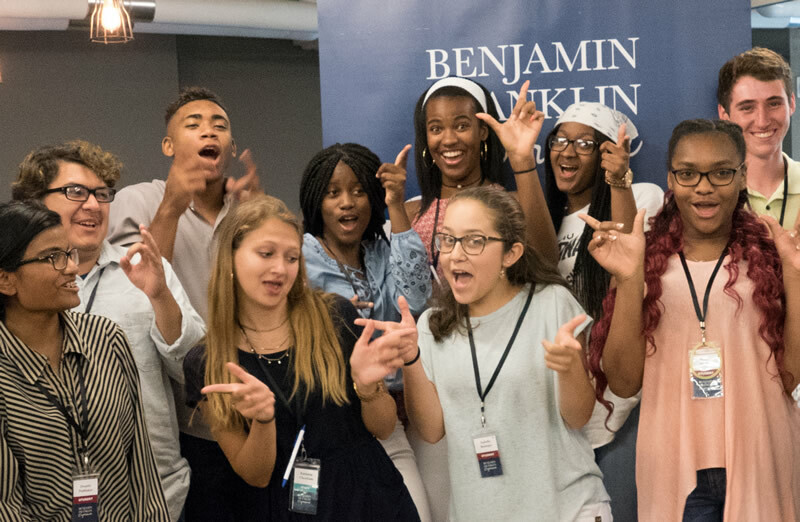 Typically, counselor / intern staff members at the Benjamin Franklin Experience have “dual” responsibilities. Your day is reasonably divided between working with students and the support of computers, creation of visual and written materials, and public relations. In your capacity as a counselor and intern, you will be teaching alongside other BFE staffers. Assisting with set up/break down of computers, equipment, and other program elements as needed. Carefully creating options for students with known food allergies.